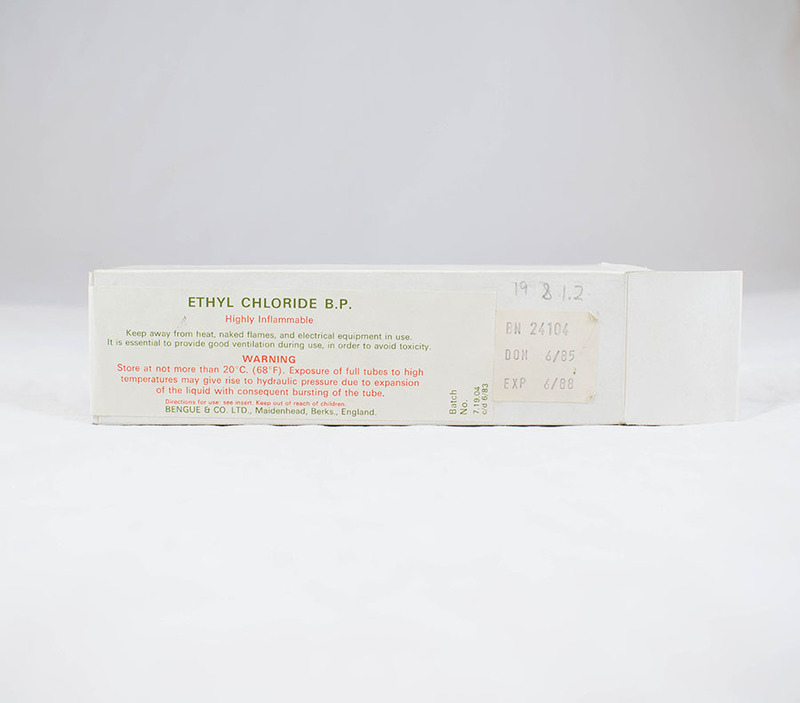 Ethyl chloride bottle, in cardboard box. 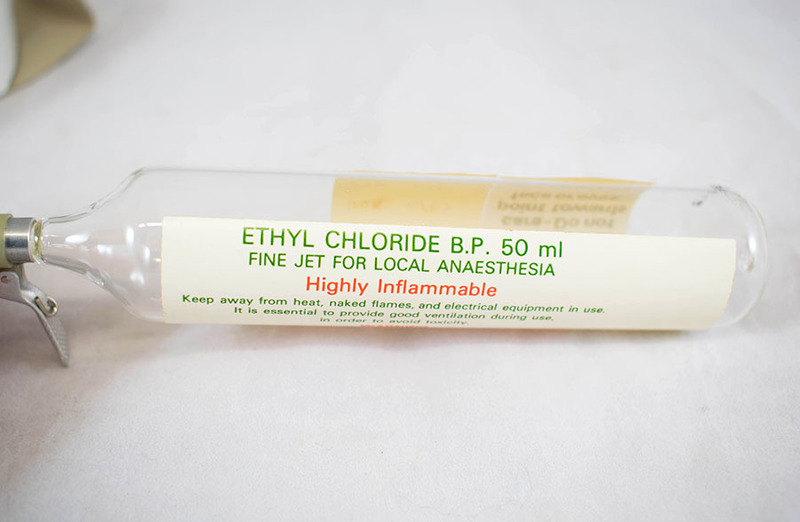 Used as a local anaesthesia by spraying onto the skin surface until a frost was obtained. Used for quick induction of anaesthesia in children by spraying onto an open mask until c 1950. 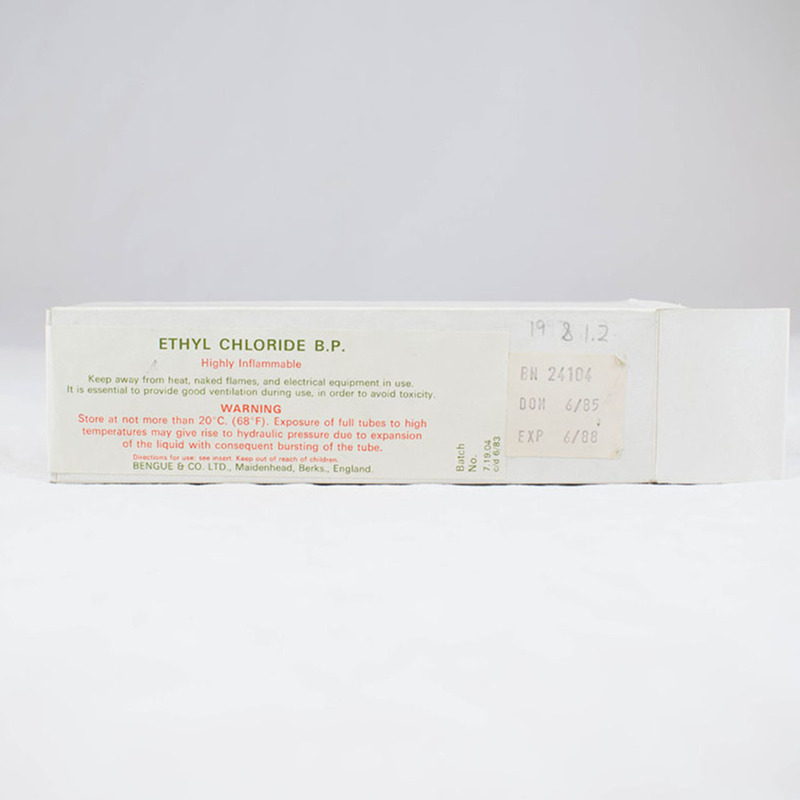 “Ethyl Chloride Bottle,” Heritage, accessed April 25, 2019, https://heritage.rcpsg.ac.uk/items/show/756. 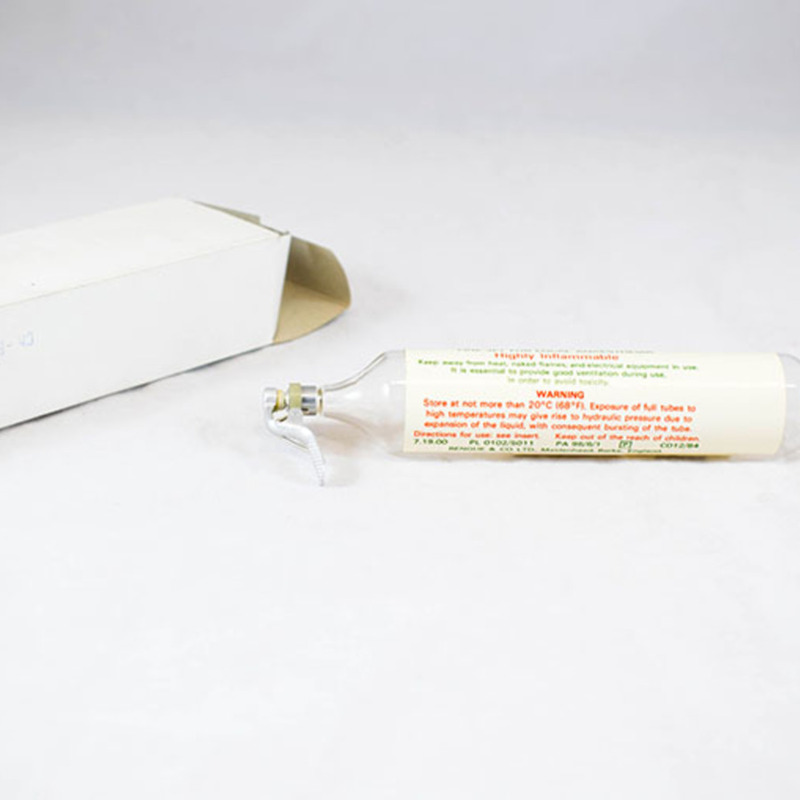 Description: Ethyl chloride bottle, in cardboard box. 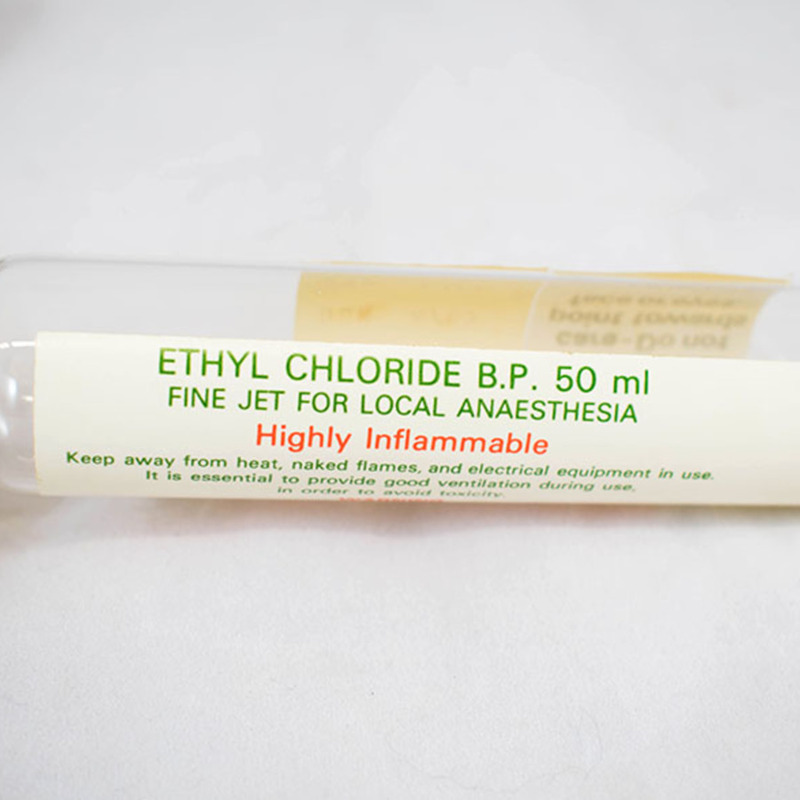 Used as a local anaesthesia by spraying onto the skin surface until a frost was obtained. 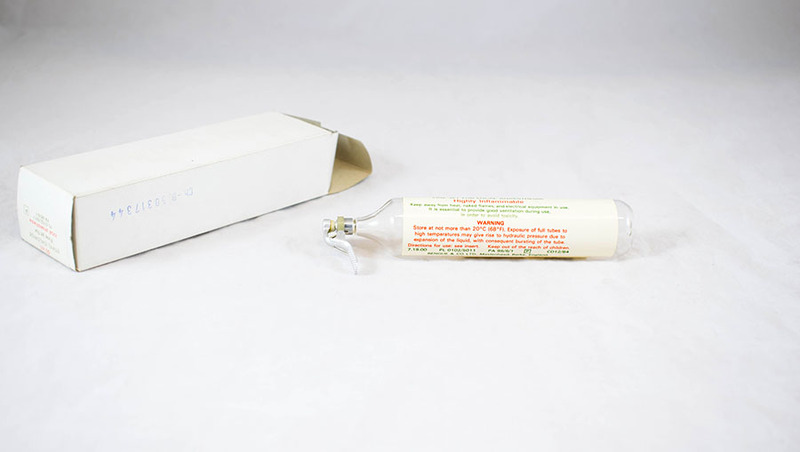 Used for quick induction of anaesthesia in children by spraying onto an open mask until c 1950.